Port Stanley is a thriving growing community. 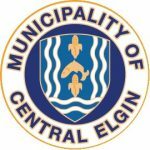 When The Municipality of Central Elgin purchased the harbour from Transport Canada, they began a transformation of our village that has been nothing short of astounding. The village of Port Stanley is proud to feature incredible award winning chefs at several locations! For a listing of all of the fine food available in Port Stanley, visit our dine page. There is ALWAYS something happening in Port Stanley and the Port Stanley BIA is proud to keep an updated list of everything that's happening in the village. To see our full event listings, visit our upcoming events page. Our beautiful pier has been reopened and you can walk all the way from Little Beach, through the village up the West Breakwater Walkway and around the pier all the way to Main Beach! There is a local public school, a recently renovated Skating Arena and Community Centre, a public boat launch, a medical centre, grocery store, hardware store plus a full range of stores, shops and services. A general quality of life at a fraction of the price of the GTA. If you want to start a business, find the ideal location to retire from the ‘big city’, buy a home away-from-home, or take an extended vacation, consider our beautiful, vibrant village with its strong heritage and great climate. There is an active real estate market in Port Stanley with several business, residential and vacation properties for sale, including beach front on Lake Erie and lake view. 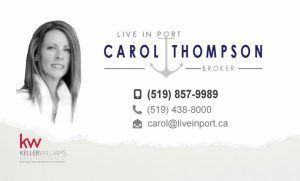 To get all the information you need to know on living and working in Port Stanley, just contact one our local realtors listed below.